Porsche car owners always want to make sure that they enjoy the luxury provided by their vehicles. All Porsche car owners in Hell’s Kitchen and in surrounding neighborhoods recognize that fact. 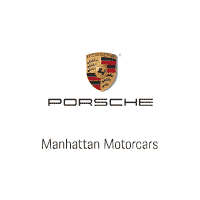 At Manhattan Motorcars, it is our commitment to make sure you will continue enjoying the prestige that comes with owning your own Porsche automobile. Whether you are looking for new or used Porsche cars or you are in need of repair and maintenance services for your Porsche vehicles, we are here to be of help. We also have genuine Porsche parts for a wide range of Porsche car models. Visit us today at Manhattan Motorcars and find out more about what else we can offer. Otherwise known as Clinton, Hell’s Kitchen is located in the West Side of the borough of Manhattan in New York City. It has been known for providing support to the business district of Midtown when it comes to infrastructure, medical, and transport needs. Since it has been located near the Actors Studio and several Broadway theaters, Hell’s kitchen has long been a home to aspiring actors. Currently, Wall Street financiers have found their home in the neighborhood as well.